Wall plate by Carmo dos Santos. 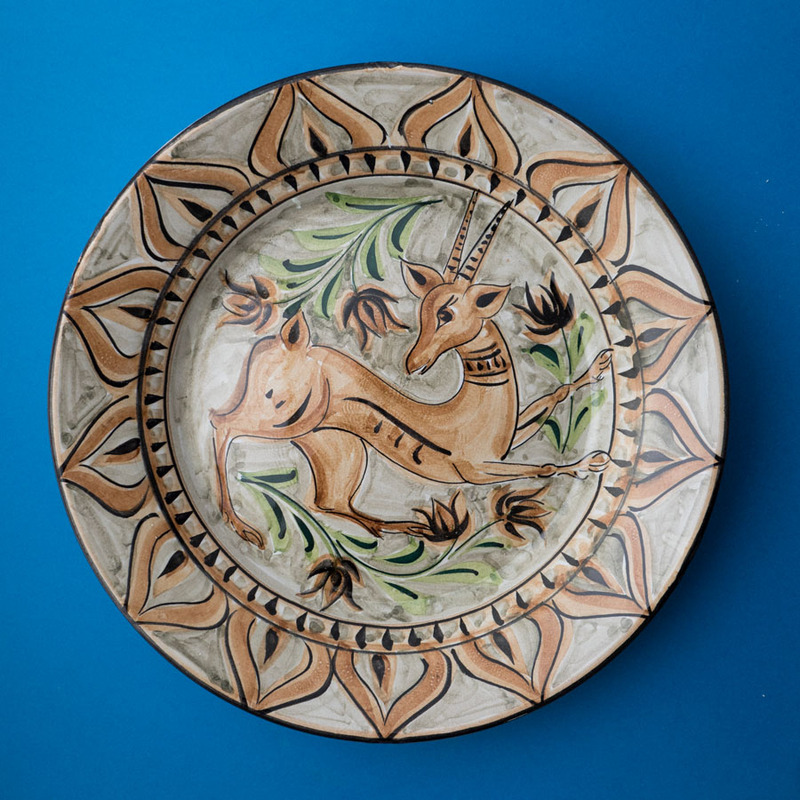 A 35cm majolica wall charger decorated with a sprightly brown iberian deer on a soft hand-painted ochre field. This motif has its roots in the Algarve's Moorish heritage, and as the deer is a game animal, the motif was celebration of the hunt.